On 24 January 1788 Jean-François de Galaup, Comte de La Pérouse, explorer and navigator, beheld a sight as startling as any he had witnessed since sailing from France in August 1785. It was an English fleet at anchor in Botany Bay, “of which we could distinguish the colours and pendants”. 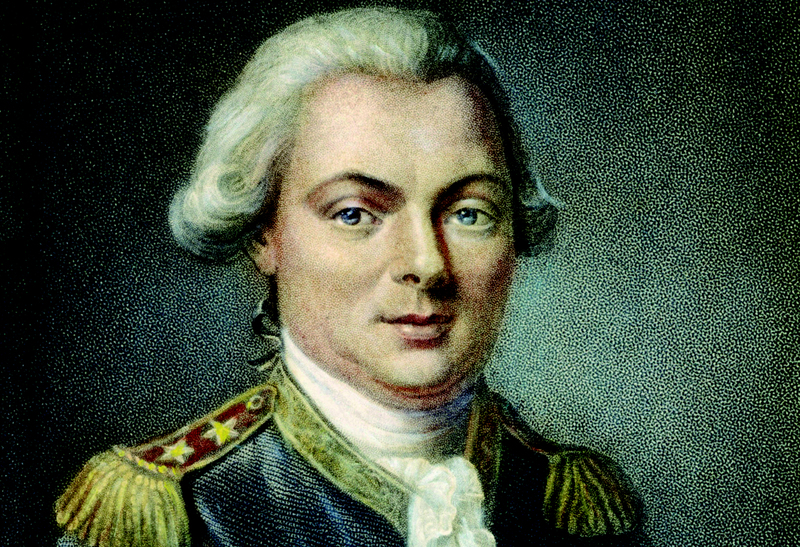 Under orders from Louis XVI, La Pérouse had crisscrossed the Pacific from Maui to Alaska, made landfall at Easter Island and mapped the coast of California. After Samoans killed 12 of his crew, he steered his ships La Boussole and L’Astrolabe for New Holland. There, he could tend the wounded and make repairs. By happenstance, he arrived just five days after Captain Arthur Phillip and his convoy of convicts. For 30 years Phillip had fought England’s traditional enemy on land and sea, overtly and covertly. He spent 1785 on ‘private affairs’ in France, spying on ports and naval installations. Aware of La Pérouse’s expedition, he may even have witnessed its departure. When strange sails were sighted off Botany Bay, he sent the HMS Supply to confirm his suspicions. Realising the French would immediately see there was no established settlement to support Britain’s claims to New South Wales, he had promptly removed himself and his 11 ships to Port Jackson, an infinitely better harbour. “Europeans are all fellow-countrymen at such a distance from home,” wrote La Pérouse, but his impatience to enter the bay was thwarted by countervailing winds and tides. It was not until the morning of the 26th that he finally dropped anchor. As honour required, officers were sent to extend Phillip’s compliments to the French and offer any needed assistance. They were received aboard La Pérouse’s flagship with great courtesy and invited to dine. At pains not to let anything slip, they made such a mystery of British intentions that the comterefrained from pursuing the subject. By then, Phillip had pitched camp at Sydney Cove. The French remained in Botany Bay for six weeks, refitting their ships, building a stockade, planting a garden, socialising with Watkin Tench and fending off scavenging convicts. Phillip, having successfully planted the British flag, maintained polite contact with La Pérouse but never showed his face, or hand, to the Frenchman. On his way to the guillotine in 1793, Louis XVI asked, “What news of La Pérouse?” Phillip, by then on his way back to England, could have provided none. Observed by lookouts on South Head, La Boussole and L’Astrolabehad sailed into the blue immensity of the Pacific, never to be seen again. It seems after some research Jean-François de Galaup had a major interest in following in Captain Cooks footsteps, Captain Cooks mission was to find a water Passage from East to West, in "North America". Galaup was said to of used some of Cooks maps. 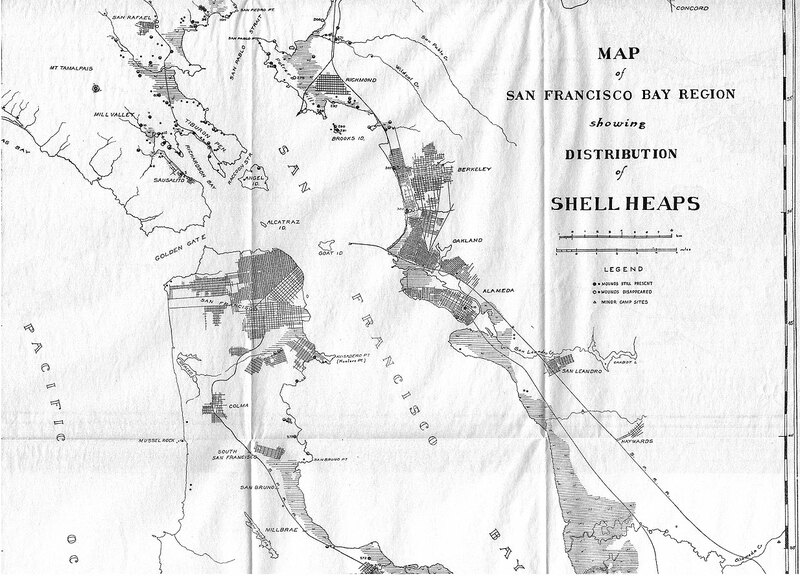 In fact the only map of the "Journey made by Galaup" is said to be of San Francisco Bay. Which to me is the worst map of the San Francisco Bay I have ever seen. 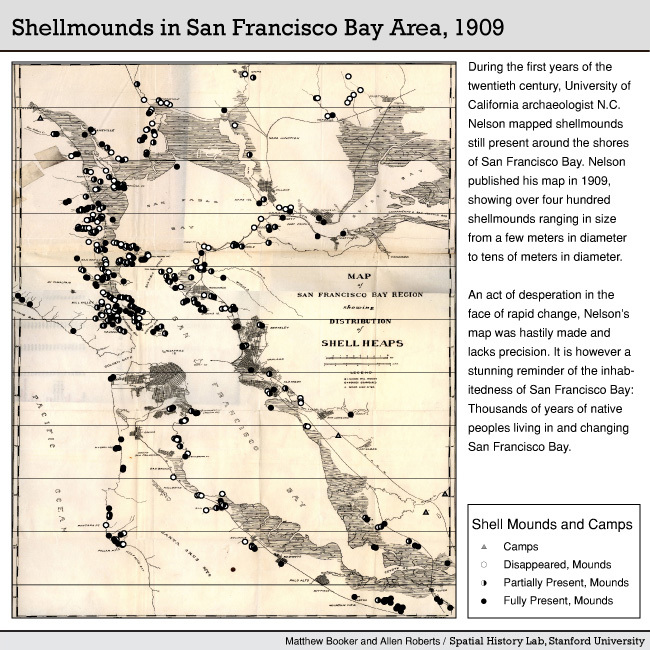 It is my conclusion that Galaup was probably over run by the indigenous people of San Rafael Bay, most likely in Portola Creek, with the ships being burned eventually with the remnants of the ship floating down river out to the mud flats near the Bay. 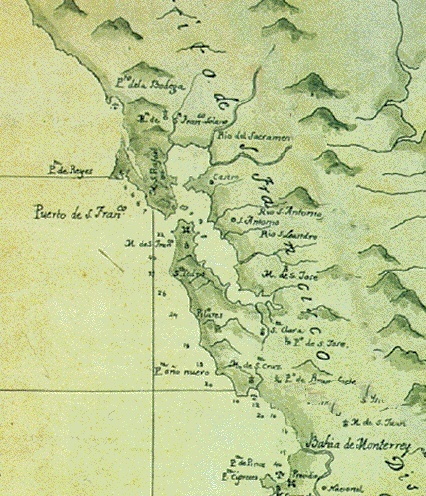 In Fact, Captain James Cook probably met the same fate in Corte Madera Creek as Galaup and his ships, most likely covered up by the secret nature of the mission "finding a water passage West to East" , highly unlikely an island nation like Hawaii would of killed Cook fearing reprisals from an advanced civilization with nowhere to go but open sea. Also it would of made recruitment for future expeditions and settlement, more difficult, if the nature of the indigenous inhabitants of the San Francisco West Coach were considered hostile. Could even of played a part in the ending of the Revolutionary War, With England finding the West Coast of America more of a prize than the Eastern Colonies. Maybe coupled in with the "possible discovery of Gold" could of made the the West Coast very interesting to the Crown. A third possible reason for the Capt. Cook Whitewash cover-up could possibly be that San Francisco and California was considered Spanish Domain, not wanting to cause a War with Spain and a possible entry into the Revolutionary War on the side of the Americans, the location and circumstances surrounding Capt. Cooks demise were changed for political reasons. Most likely politics continuing to come into play, the disappearance of Galaup and his 2 ships, were also covered-up. Taking a lesson from the English. If you call Hawaii and ask about the spot of the Capt. Cook masacre you will be directed to a telephone number in California. In 1776, Bligh was selected by Captain James Cook (1728–1779), for the position of sailing master of Resolution and accompanied Cook in July 1776 on Cook's third and final voyage to the Pacific Ocean, during which Cook was killed. Bligh returned to England at the end of 1780 and was able to give details of Cook's last voyage. As you most likely know Capt. William Bligh was infamously known as the Captain of "The Bounty" the ship that was taken by Mutineers and set adrift. After examining "The Bounty" story this doen't make any sense either. My theory is that after Bligh got back to England and told what happened to Cook in San Francisco, and the crown hearing of Gold, Bligh was sent on a mission back to San Francisco. Probably to resupply at Botany Bay Australia, and then Hawaii, then to upper north America and down to San Francisco Bay. At some point, Probably after leaving Hawaii, Bligh probably decided he wasn't going to go back to San Francisco and get massacred like Cook. Probably went back to Hawaii. Leaving Hawaii with Crew going back to England came up with this Mutineer story to keep himself in good standing with the Crown. My guess is the plan was to have the Crew dropping him off in a launch on the Solomon islands and taking the launch into Botany Bay and claim Mutiny. With Fletcher Christian and the Crew heading back to Hawaii and one of the smaller islands and setting the bounty on fire. Hawaii would of been more likely, for the onion plant and other more valuable, and more exotic vegetable stock. My guess is that the Bounty never went to Pitkin Island and that it lays burned on the seabed off one of the smaller Hawaiian Islands. Interesting. I knew of the first part of that story but did not know La Perouse vanished afterward. Wiki says he was shipwrecked in the Solomon Islands.
" The last official sighting of the French expedition was in March 1788 when British lookouts stationed at the South Head of Port Jackson saw the expedition sail from Botany Bay. The French expedition was wrecked a short time later on the reefs of Vanikoro in the Solomon Islands during a cyclone sometime during April or May 1788 "
They did leave some legacy behind though . French navy newspaper in the 19th century?